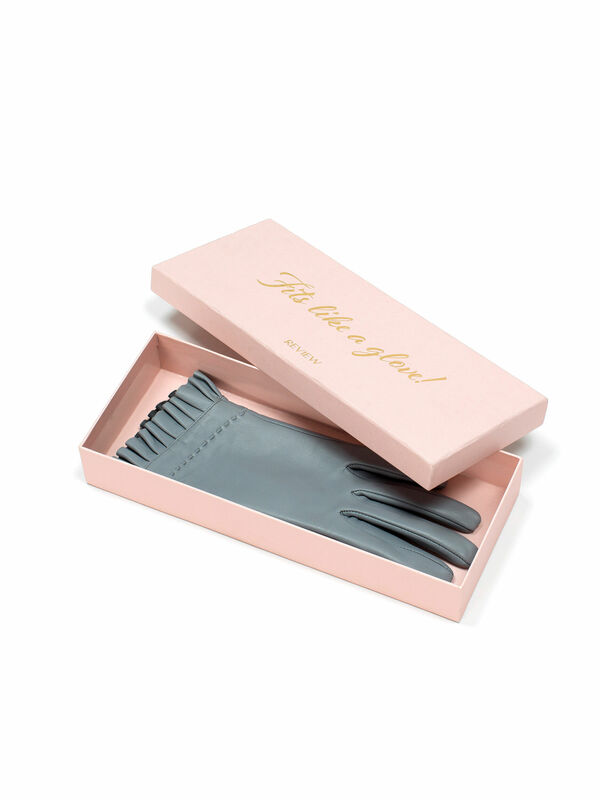 Fancy Frill Gloves https://www.review-australia.com/au/fancy-frill-gloves/RE19ACC230.REGRY001.html Made from soft-touch leather the Fancy Frill Gloves are the final touch to your winter ensemble. 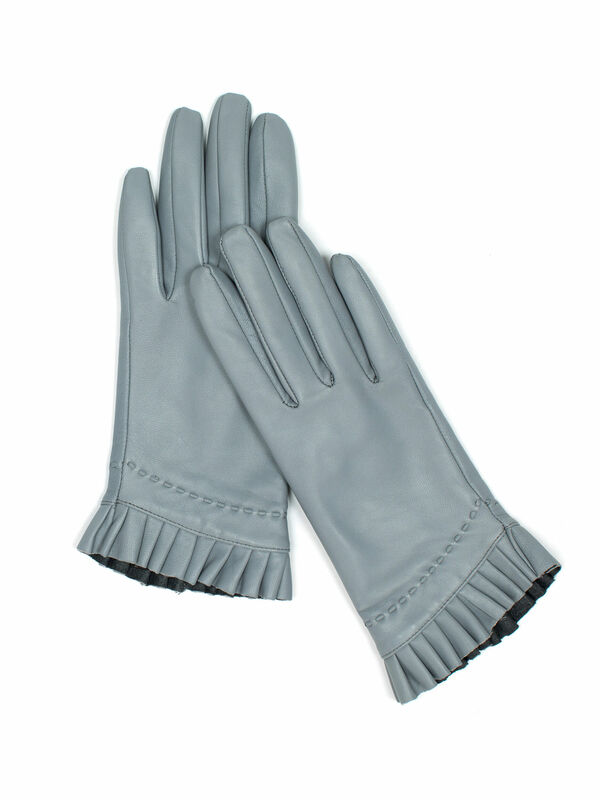 Perfect in pale grey, these must-have gloves are delicately balanced by pretty pleat details. 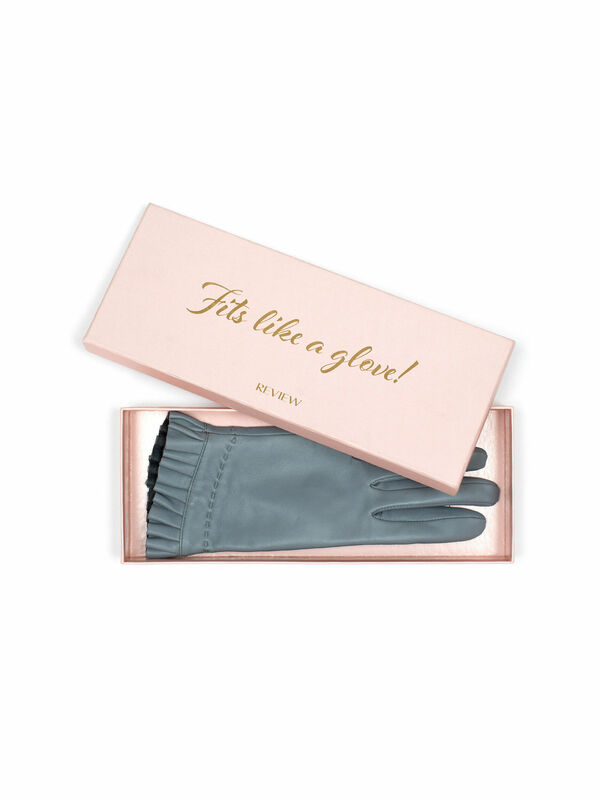 Made from soft-touch leather the Fancy Frill Gloves are the final touch to your winter ensemble. 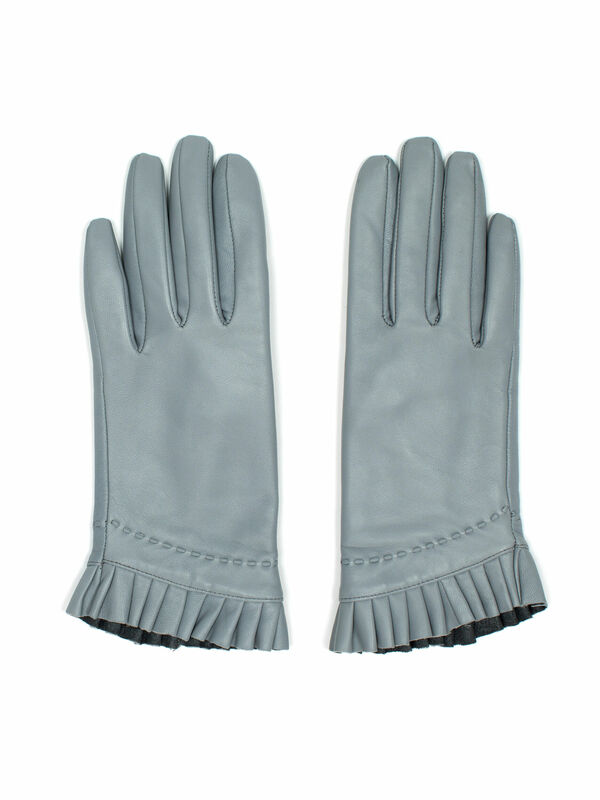 Perfect in pale grey, these must-have gloves are delicately balanced by pretty pleat details.